I am an educator, health advocate, and special needs parent passionate about finding our children's best selves through nutrition, education, love, and care. Dr. Teresa Scott is a holistic/ biological family dentist who practices in Spring, Texas, where she also resides with her husband and two daughters. With her patients, Dr. Scott uses the most modern dental technology while also ensuring that her products and procedures are safe and non-toxic. In December 2015, Dr. Scott was diagnosed with Stage 4B endometrial cancer and given a maximum of one year to live with chemotherapy. Without chemotherapy, she was given a maximum of nine months to live. She chose to have focal radiation as a palliative measure for the intractable pain in her hip, which was the site of her metastasis. However, she chose NOT to do chemotherapy or follow any other conventional treatments. Instead, she sought out and followed holistic methods. Over two years later, she is cancer-free and tells her incredible story. Tell us about your health journey. Well, it’s a long story. I have had poor health since childhood. At one point, I was on 12 different prescription medications to try to control all of my symptoms. And truthfully, my doctors simply didn’t know how to properly diagnose me. Holistic medicine healed me. Nutrition healed me. I do take a LOT of supplements! But it’s all basically concentrated food. I will never be able to absorb my nutrients through food alone due to a gastric bypass I had 16 years ago. Anyway, 2015 was a tough year for me. A lot of things in my life were going wrong at the same time. The worst of it was that the gastric bypass and many courses of antibiotics for recurring infections had left me with a leaky gut and a raging systemic candida infection. I had severe insomnia. I hadn’t slept a decent night for 12 years at that point. I was a mess, physically, psychologically, emotionally. A ticking time bomb. And it caught up with me in the form of cancer. How did you determine the path that you should take to restore health to your body? I did choose to do the focal radiation. Not the whole pelvic one. But just to the spot in my hip that was hurting so badly. I was in intractable pain. Nothing worked. Try to imagine a red hot fire brand poker stabbing you in your hip. And then imagine that someone is rooting around with that and stabbing you again and again. That’s what it felt like even with the epidural I had. I couldn’t feel my feet, but I could feel that cancer pain in my hip bone. The doctors hadn’t figured out it was a metastasis at that point. They just thought it was post op pain. I don’t respond to pain medications. I was in severe pain for 56 hours straight after my hysterectomy. It was horrible, and I still get flashbacks occasionally. But it’s familial for me. My mom and youngest daughter also don’t respond to narcotics. That being said, I knew that chemo wasn’t for me. My dad and grandma died from cancer. They tried to fight it allopathically, and it did not work. I knew that if I went the allopathic route, I would die for sure, and I wouldn’t last even a year. Now, I’m 27 months out- cancer free, near as all my blood tests can tell. And they keep getting better. We keep tweaking it. I took the R.G.C.C. (https://www.rgcc-group.com/) test to determine my initial course of action. It’s expensive! $2300. Until then, I was flailing, panicking that I was going to die, and trying so hard to just stay calm for my family. I’m our sole source of support. If I don’t work, we don’t get paid. It was a scary time for us. The R.G.C.C. test indicated that IV Vitamin C was my best bet and gave me some hope. After the IV Vitamin C put me into remission, I had to learn to trust my naturopath. She tested me every 2 months. She put me on different supplements to tweak me. And we have been doing that since then. What do you believe were key factors in your healing? God. The fact that I got to survive – I’m not that special. I’m not extra worthy of anything. God let me live for His own reasons, and I’m not privy to them. But I’m incredibly grateful. I promised Him if He let me live that I would do what I could to help other people. So I’m doing that. I’m paying it forward. IV Vitamin C. My R.G.C.C. test told me that Vitamin C was going to be my most powerful weapon. And it was. Diet – it’s very clean. 80% veggies and fruits. And mostly veggies. 20% grass fed meats, nuts, seeds, etc. 100% gluten free, 100% sugar free – not even honey or maple syrup. 98% grain free. I will occasionally have some quinoa or oatmeal or corn – all organic, of course. Rice makes my blood sugar plummet, so I avoid it. I don’t eat bread unless I make it myself. I don’t eat pasta unless it’s paleo, and even then, it’s a total treat. And if we go to a Mexican restaurant, I do allow myself to eat the chips and salsa. Some days, I just need to have that little bit of leeway. When we eat out, it’s generally some kind of grilled chicken and salad or veggies. Needless to say, we don’t eat out often, because honestly, I’m a better cook at this point. There are days when I get tired of the dietary restrictions. But I keep it up 98% of the time (except for sugar, where I don’t ever give myself a pass). Because I get to live. A naturopath who really understood how to tweak an immune system to get it to work for itself. What do you do now to maintain optimal health? I take a bucket of supplements, and my diet is pristine. I have my blood tested every 2 months, and we tweak my supplements accordingly. I see my chiropractor regularly. I do other healing modalities, whether it’s reiki or ozone therapy or whatever I can do, when I have money and time to do it. 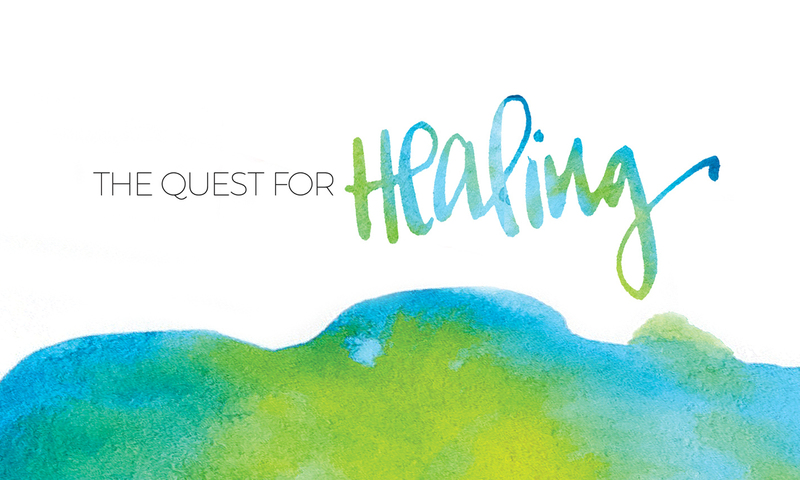 What advice would you give to someone who is diagnosed with cancer and interested in healing in a holistic manner? Do your research. Thetruthaboutcancer.com has over 100 hours of lectures on the different holistic healing modalities. All of them have at least some validity. Some work better for some people, others for others. Nothing works 100% for anyone. Cancer has different causes, different responses to things. So my approach may not work for someone else. Consider doing the “Greece” cancer test. It’s the RGCC group that does it. It tested my circulating tumor cells against 40 different natural substances. It gave me an initial roadmap. It’s expensive, but it told me which natural substances would work best for me. I directed my financial resources towards IV Vitamin C because it told me that my cancer responded best to Vitamin C. And it was right. IV Vitamin C put me into remission in 90 days. And I have stayed there since. Sugar feeds cancer. No matter the dietary approach a person chooses to take, sugar is a no. For the rest of their life. Period. In my house, we don’t even eat honey or maple syrup – well, my girls, occasionally, but never me. I have just a few sweeteners that I allow myself, and even then, sweets made with them are a treat, not a regular thing. They must be organic. So organic stevia, erythritol, monk fruit and coconut sugar. A new one has come out recently called Tagatose, and it’s supposedly a prebiotic fiber and also natural. I’m still investigating that one. Mostly, I stick to organic erythritol. It tastes like sugar, bakes like sugar. So it works for me. Those are the only things I really allow myself. Stevia is a tricksy one, because a lot of the time, they use dextrose to cut it. So you have to read labels. Alkalinity is key. Cancer can’t survive in an alkaline environment. But all of the things like alkaline water and baking soda are a crutch. Don’t get me wrong. They are a crutch I used until I could figure out how to become alkaline with my diet alone. But it has been many months since I have felt the need to take baking soda. I test my urine on a pH strip every time I go to the restroom. And if my pH drops below 6.5, I am doing something to try to alkalize myself, and right away. Usually it’s lemon juice. I juice every single morning- 25 oz of carrots, beets, greens, some kind of fruit, and the juice of 2 lemons. I juice the carrots and the beets, and then blend in the greens and the fruit and the lemon juice. I add probiotics and Pectasol (modified citrus pectin) to my juicy smoothie. That generally does the trick for me. As long as I behave with the rest of my food for the day, I can stay alkaline. We have had both a relieving and panic-inducing piece to James’ puzzle revealed recently. It started a little over a month ago when he was miserable with these bizarre ulcers on the bottom half of his tongue. We thought it might have been either an allergic reaction or something viral, but we went to see the pediatrician in case there was anything we could do about it. Turns out that this was a complete Godsend of a reaction. This past year, I have had this unnerving paranoia about strep. Though his throat was only slightly red, and he did not have a fever, we asked if they could swab him. And it was positive. So immediately we made an appointment for his little sis and also had her swabbed. The past two times he had strep, she unfortunately had it as well. We thought we had some kind of virus running through the house, so we wanted to make sure we were not mistaking strep for a virus. And her test was negative. We asked his pediatrician about it, and he mentioned we could retest him for strep after antibiotics to see if they had done their job. A week after we finished the course of antibiotics, we did just that. The rapid test in the office came back negative, but the culture came back positive with Group A Strep. Later, blood work showed that his antibodies for strep were SEVEN TIMES the high number of the normal range, thus indicating PANDAS. Though this was terrifying information, things finally started to make sense. One of the big signs of PANDAS is the sudden onset, often pinpointed to the day that your child turned into a different kid. We are now wondering if he encountered this bacteria, which triggered an autoimmune response, 2.5 years ago. It seemed like overnight my calm, sweet baby boy became angry, aggressive, and completely unpredictable. His favorite songs would bring on screaming and tears. A moment of laughter could turn into rage in a second. We started walking on eggshells waiting for the next explosion. Food pickiness went through the roof and overall rigidity went with it. It felt like we lost him. With all of the changes in his life, including the new baby, move, start of school, and just general age, it was easy to write off these behavioral changes. But deep down, I knew something wasn’t right. This poor child has been so sick, y’all. So we are in the process of figuring out how to restore his health with this new information. Thankfully, we have a good start on this path with his anti-inflammatory diet. We are also under the care of functional medicine practitioners who are leaving no rock unturned. They are taking a completely comprehensive look at him, thinking about how to boost his immune system, seal up the gut lining and blood-brain barrier, and get rid of the strep (which is also likely in his gut). I am SO GRATEFUL. I can’t begin to tell you. Unfortunately, when someone has a disability or diagnosis, it is so easy to write off their symptoms to that disability or diagnosis. “Well, aggression can be part of autism.” “Lots of kids who have autism have GI issues.” Or “sensory challenges go along with Down syndrome.” But why?? What is happening in the body to cause these symptoms? What is the root cause? I am elated to be under the care of people who are looking at what is physiologically going on inside his body to cause these behaviors or symptoms. And I am so hopeful that I’m getting my baby back. Only God knows to what extent his healing is taking place..but it is taking place. Dana Elia, MS, RDN, LDN, FAND is a registered dietitian nutritionist as well as the owner of Fusion Integrative Health and Wellness in Lancaster, Pennsylvania. Dana has over 20 years of experience in medical nutrition therapy, integrative and functional nutrition, and health and wellness coaching. Additionally, Dana is an adjunct faculty member at the PA College of Health Sciences. She has extensive experience teaching classes on a variety of health-related topics- both for the general public, as well as continuing education programs for healthcare providers and professional organizations. In May 2017, Dana was granted the Fellow status (FAND) within the Academy of Nutrition and Dietetics, which recognizes her commitment to the field of dietetics and celebrates her professional accomplishments and pursuit of life-long learning. Dana is also currently working on her doctorate in clinical functional nutrition through Maryland University of Integrative Health. Make sure to check out Part I of Dr. Ashley’s interview here, during which she tells the incredible story of how she and her husband restored health for their daughter who once had severe GI dysfunction and autism spectrum disorder through functional medicine. Dr. Ashley Turner is a naturopath, wife, mom of three girls, homeschooler, operator of her family’s small farm, and owner of Restorative Chiropractic and Functional Wellness Center in Chester Springs, Pennsylvania, along with her husband, Dr. Kevin Turner, who is a chiropractor. Together, they practice functional medicine to look for the root cause of health concerns and equip the body to heal through chiropractic programs, customized nutritional protocols, and professional detoxification. Dr. Ashley and her husband found functional medicine when their two-year-old daughter was experiencing severe GI dysfunction, sensory challenges, and other symptoms of autism. Through her and her husband’s dedication and education, they were able to restore health for their daughter and move her off of the spectrum. Through their quest for healing, they have now been given the gift to guide many on their own healing quests through functional medicine. Dr. Thomas Heath has been practicing chiropractic and functional nutrition for over 33 years. Chiropractic is a family tradition— his wife, father, great-grandfather and sister-in-law are all chiropractors. His two youngest sons are studying to become chiropractors. The majority of Dr. Heath’s patients come from Pennsylvania, Maryland, West Virginia, and Virginia. Some travel from around the world — Brazil, Israel, Ireland, Mexico, Kenya, and New Zealand. Dr. Heath is certified in Professional Applied Kinesiology with extensive training in postgraduate nutrition and functional medicine, Quantum Neurology and NET (Neuro Emotional Technique). He has taught nutrition classes to chiropractic doctors, medical doctors, and naturopathic doctors. Dr. Heath uses a “whole person approach.” This approach to wellness means looking for the underlying causes of any disturbance (which may or may not be causing symptoms at the time) and making whatever interventions and lifestyle adjustments needed to optimize the conditions for wellness. Using this unique approach, Dr. Heath is able to help patients accelerate and/or maintain their journey to good health. Meet Sheree Clark from Clearwater, Florida. Sheree is the owner and founder of both Words by Design and The Watering Can & Co. She has built a life using her gifts as an artist and photographer to create inspired home décor and art work for unique and beautiful spaces. Very recently, Sheree was diagnosed with stage 4 colon cancer. But how Sheree chooses to view her quest will leave you truly inspired.